On the Road of Uncertainties, We’ll Keep You Covered. Owner Operator Insurance Quotes Available 7 Days per Week! When searching for owner operator insurance call Pathway Insurance at 1-800-998-0662 Monday through Friday until 5:00 PM CST or click on Owner Operator Truck Insurance to send us your request for information and quotes 24 hours per day. Pathway offers Owner Operator Insurance in Ohio, Kentucky, Indiana, Michigan, Illinois, Wisconsin, Tennessee, Virginia, Georgia, Florida, Missouri, Texas, Arizona, New Mexico, Alaska, Minnesota, and the state of Maryland seven days per week. If you find our website on the weekend or after normal hours click on our chat button to be connected to a licensed agent when you notice that our chat icon is activated. If our chat system is not activated you can leave a message. If you leave a message one of our licensed agents will get back to you as soon as possible. Owner Operator Insurance Quotes – All Types of Commercial Truck Insurance Available! We offer Owner Operator Insurance for Single Vehicles or Fleets, in addition to Motor Truck Cargo Insurance, Contingent Cargo Insurance, Bobtail Insurance, or Non Trucking Liability Insurance, Workers Compensation Insurance, General Liability Insurance, Coverage for Business Property Insurance and much more. What about insurance for hazardous materials? Not a problem! We also insure brand-new trucking companies, those who have been canceled because of claims or safety violations, and even those who have had a lapse in coverage or a change of ownership. Special rates are also available for those in business three years or more with zero claims or safety violations. If you own other types of commercial trucks such as Towing Vehicles, Dump Trucks, or Moving Trucks we can also help. Call today to learn more. Owner Operator Insurance Is Super Expensive! Let’s face the facts. Owner Operator Truck Insurance is the most expensive type of commercial auto insurance you can purchase. The principal reason why Owner Operator Insurance is so expensive is based on the catastrophic damage, injuries, or even fatalities large trucks can cause. The Federal Motor Carrier Safety Administration estimates the fatality rate per vehicle mile traveled is more than 50% higher for large trucks compared to all other vehicles combined. The claims cost associated with crashes range from a little over $97,000 to nearly $8 million for fatality related truck crashes. It is not uncommon to see multi-million dollar insurance payouts due to serious accidents. So for this reason Trucking for Hire Insurance is the most expensive compared to any other form or type of commercial auto insurance. However, you want to keep in mind there are certain steps you can take to keep your premiums lower. Let’s consider a few. The First Step You Can Take to Save Money on Owner Operator Insurance. Step 1 – Keep Your Basic (Behavior Analysis and Safety Improvement Categories) Score Low! Unsafe Driving — Operation of commercial motor vehicles (CMVs) by drivers in a dangerous or careless manner. Example violations: Speeding, reckless driving, improper lane change, and inattention. Hours-of-Service (HOS) Compliance — Operation of CMVs by drivers who are ill, fatigued, or in non-compliance with the HOS regulations. This BASIC includes violations of regulations pertaining to records of duty status (RODS) as they relate to HOS requirements and the management of CMV driver fatigue. Example violations: HOS RODS, and operating a CMV while ill or fatigued. Driver Fitness — Operation of CMVs by drivers who are unfit to operate a CMV due to lack of training, experience, or medical qualifications. 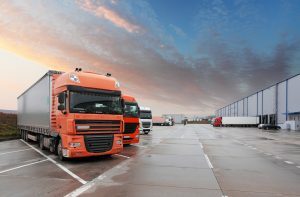 Example violations: Failure to have a valid and appropriate commercial driver’s license (CDL) and being medically unqualified to operate a CMV. Controlled Substances/Alcohol — Operation of CMVs by drivers who are impaired due to alcohol, illegal drugs, and misuse of prescription or over-the-counter medications. Example violations: Use or possession of controlled substances/alcohol. Vehicle Maintenance — Failure to properly maintain a CMV and/or properly prevent shifting loads. Example violations: Brakes, lights, and other mechanical defects, failure to make required repairs, and improper load securement. Hazardous Materials (HM) Compliance — Unsafe handling of HM on a CMV. Example violations: Release of HM from package, no shipping papers (carrier), and no placards/markings when required. When the adverse safety events occurred (more recent events are weighted more heavily). And After a measurement is determined, the carrier is then placed in a peer group (e.g., other carriers with similar numbers of inspections). Percentiles from 0 to 100 are then determined by comparing the BASIC measurements of the carrier to the measurements of other carriers in the peer group. A percentile 100 indicates the worst performance. Taking steps to make sure drivers are not accumulating moving violations, and accidents, maintaining hours of service compliance, driver fitness, avoidance of controlled substance abuse, proper vehicle maintenance, and hazardous material compliance are important steps to keep your premiums low. A poor Basic Score can place you in a situation where you may need to pay significantly more money for your commercial truck insurance or may find yourself uninsurable with most Trucking Insurance Companies. The Second Step You Can Take to Save Money on Owner Operator Truck Insurance. Step 2 – Improve your credit score. Did you know that some trucking insurance companies offer steep discounts when you possess a good credit score? Up to a 40% discount off base rates may be applied by some insurance companies when credit is taken into consideration. For instance, if you are currently insured with a company not using credit scoring and your current premium rates amount to $25,000 per month, imagine your owner operator insurance rates dropping to $15,000 per month for the exact same coverage, drivers and trucks insured! Will the credit score of my hired drivers impact my rates? No. Credit scores are typically run on the owners of the trucking company. What do insurance companies consider a good credit score? Anytime your FICO credit score is above 700 you should qualify for discounts. Keep in mind that not all insurance companies offer credit scoring. If you have a credit score above 700 click on Insurance for Owner Operators to request quotes from our brokerage seven days per week. What if you do not possess a 700 FICO credit score? There are certain steps that you can take to improve your credit. Click on this link: Steps to Improve Credit for helpful tips. Allow Pathway Insurance to shop the market for your company. Call 1-800-998-0662 to speak with one of our trucking specialists today or click on Owner Operator Trucking Insurance to discuss your insurance needs seven days per week. Likely if you found our website you have either obtained a significant rate increase, cancellation from your existing insurance company, or you are a new startup company. You will need to keep in mind Owner Operator Trucking Insurance costs are not the same between insurance carriers. The insurance costs with any insurer are directly influenced by the underlying claims being submitted by their policyholders. For instance, let’s assume you are insured with Company A today and your claim record is spotless. Unfortunately Company A experiences a very bad year financially and claims payouts are running 30% more than the previous year. Company A will likely need to increase premiums perhaps up to 30% for all policyholders! Why? The very definition of insurance is distributing the costs among a large number of other policyholders. Even if your claims record is spotless, you will be paying for the mistakes of others. This is the fundamental way insurance works. This is where Pathway Insurance can help. Owner Operator Trucking Insurance is Available in all 50 States! As a leading Insurance Broker, we can shop the market to help you find better alternatives. Call our licensed agents Monday – Friday 9 AM – 5:30 PM or click on Owner Operator Trucking Insurance 7 days per week. Our team of online agents can help you find the coverage you need 7 days a week. The majority of our competitors take the weekends off but we believe it’s more important for us to be available for policyholders when they need us.